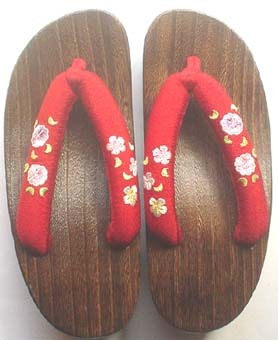 Please e-mail me I will prepare special order form for you. 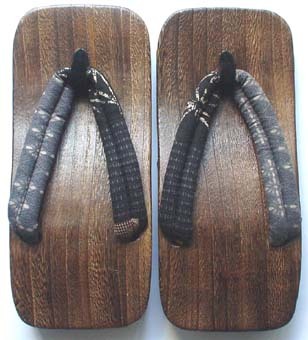 These geta are “pre-made” before I get them. 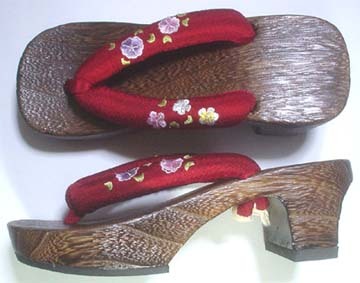 So, when you order these, the hanao are already attached as part of the geta. 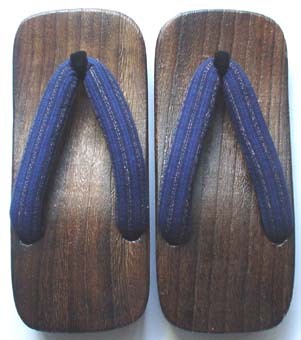 I cannot change them to a custom color or style. 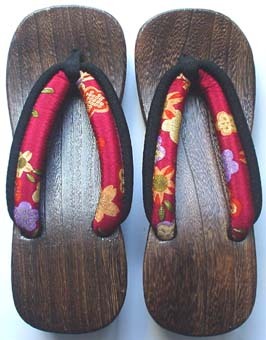 These are beautiful geta. 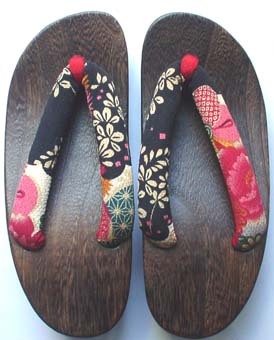 If you want to choose your own hanao color, or style, please see my other order pages. 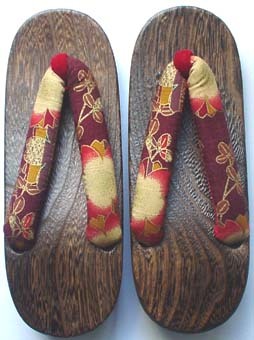 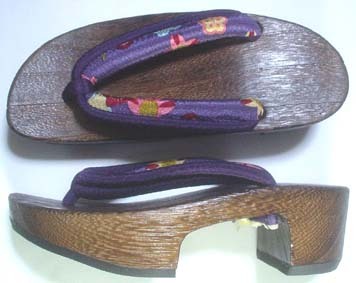 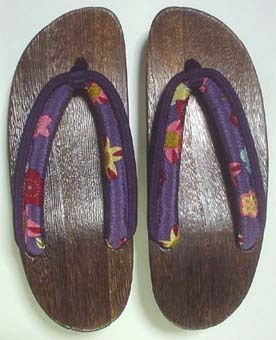 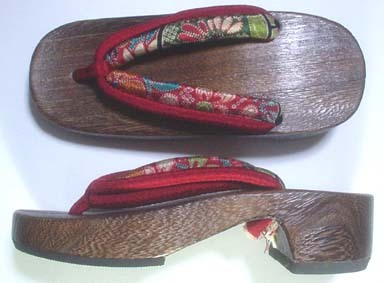 These geta are made for the average sizes of Japanese feet. 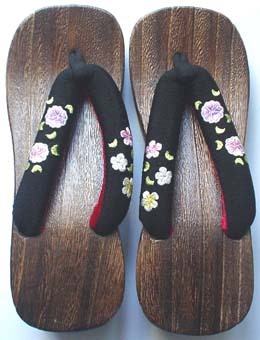 Japanese people are generally smaller in comparison to people from many foreign countries. 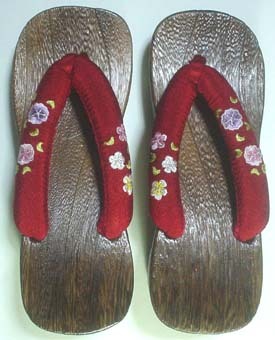 When you place an order for geta, please tell me the following details. 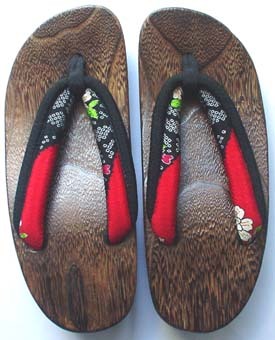 These are made with the Japanese traditional processing style called,“Yakigiri”. 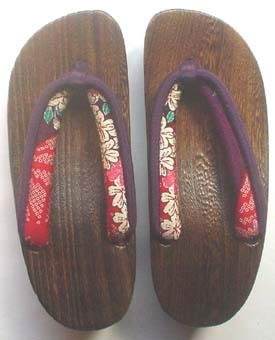 The surface of the paulownia wood is burned with fire and then a coating of wax is put on. 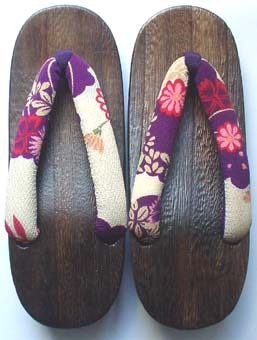 This style, Yakigiri, helps protect the surface of the paulownia wood similar to a lacquer or varnish finish. 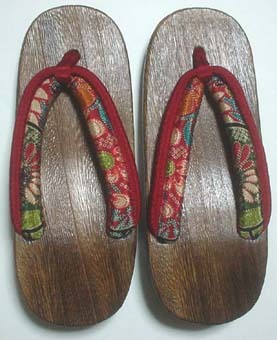 This finish also feels good to your feet, much better than a lacquer orvarnish. 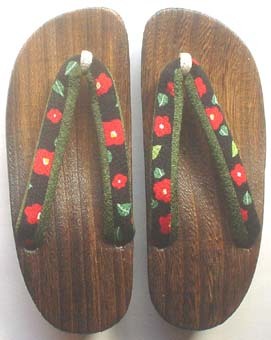 It's a very glossy, or shiny finish. 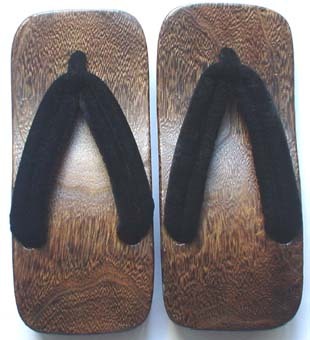 It also doesn't show dirt easily.